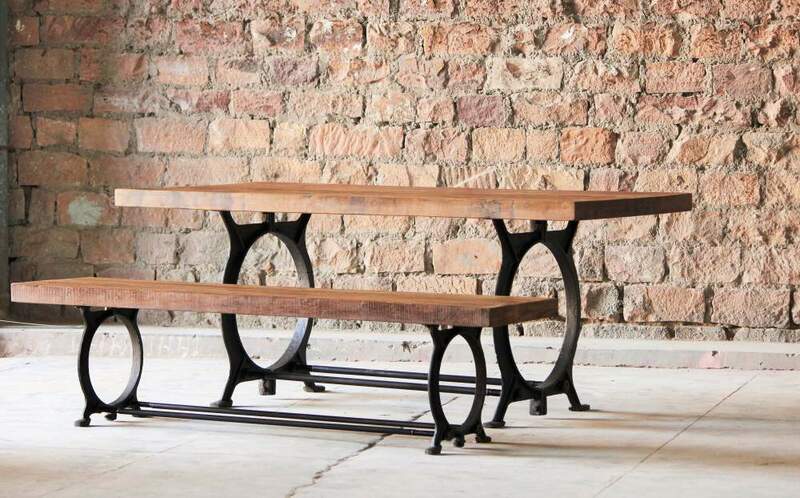 Our Hyatt range is made from reclaimed timber and melted down steel, inspired by industrial design. 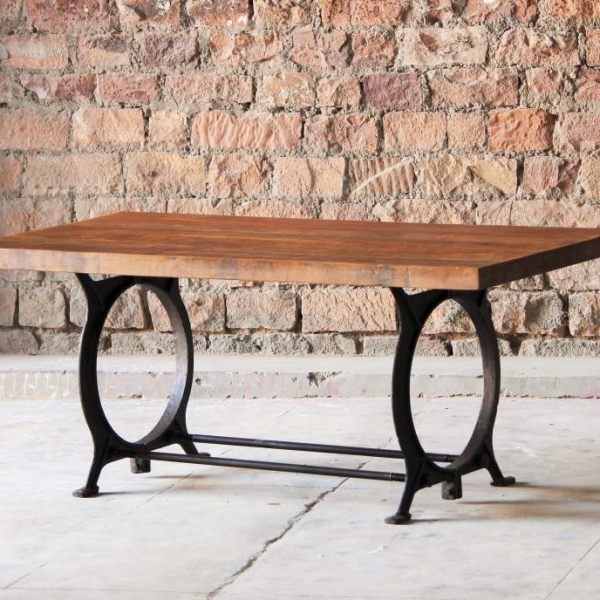 It has been handcrafted by our skilled steel workers and craftsmen. The furniture in this range is contemporary, modern with an edge and has been constructed using traditional carpentry methods. Although perfect for urban living, the items in our Hyatt industrial range will stand out and look good in any home. 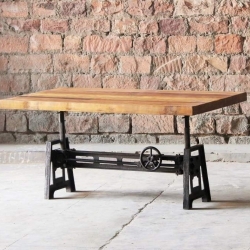 If you, like us, love industrial style furniture, this range is for you. 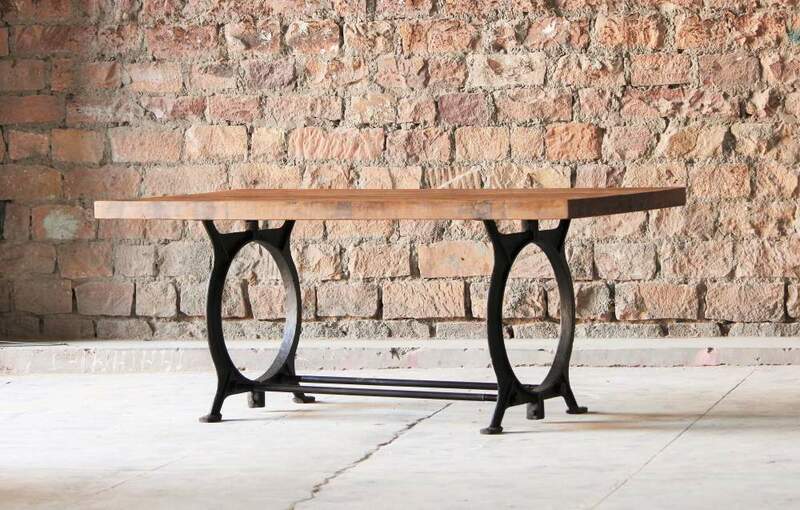 This Hyatt – Canning Industrial Dining Table is handmade using only the best reclaimed materials. 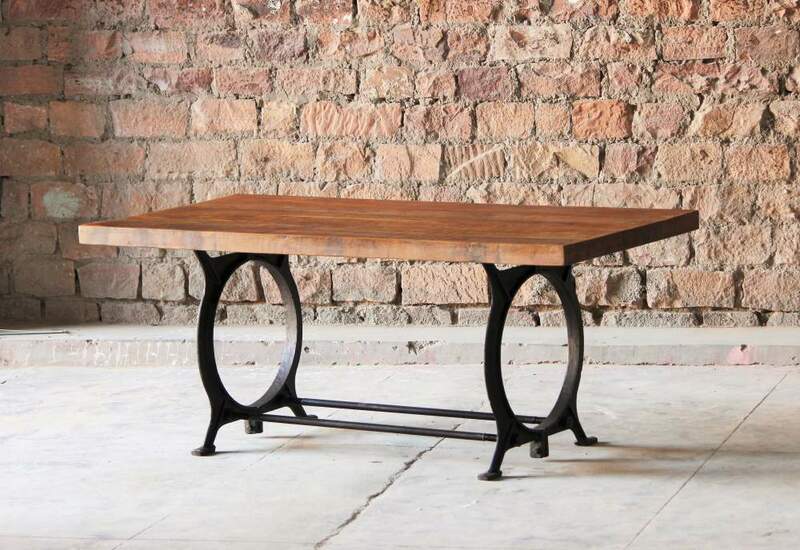 The table top is made from beautiful upcycled salvaged wood, and the base is made from recycled steel. 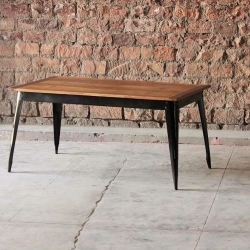 The combination of the two gives this table a striking, unique look. 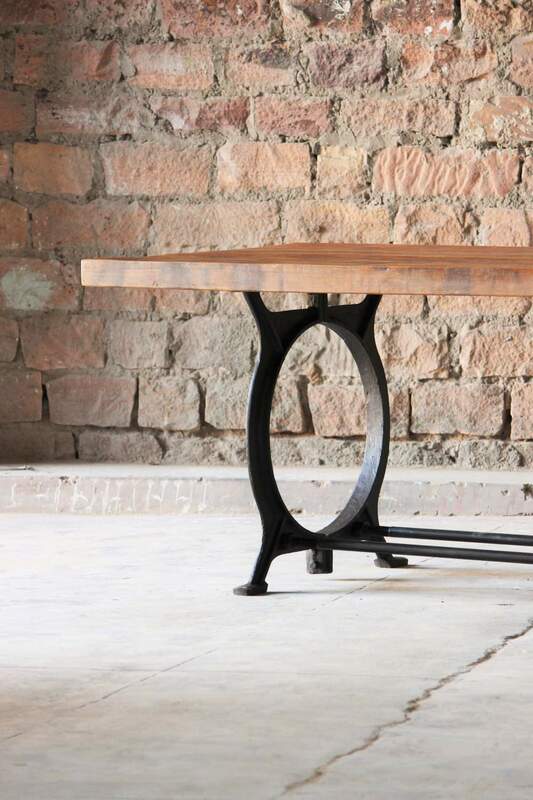 The style of our Hyatt – Canning Industrial Dining Table is contemporary modern, constructed using traditional methods by our skilled craftsmen. 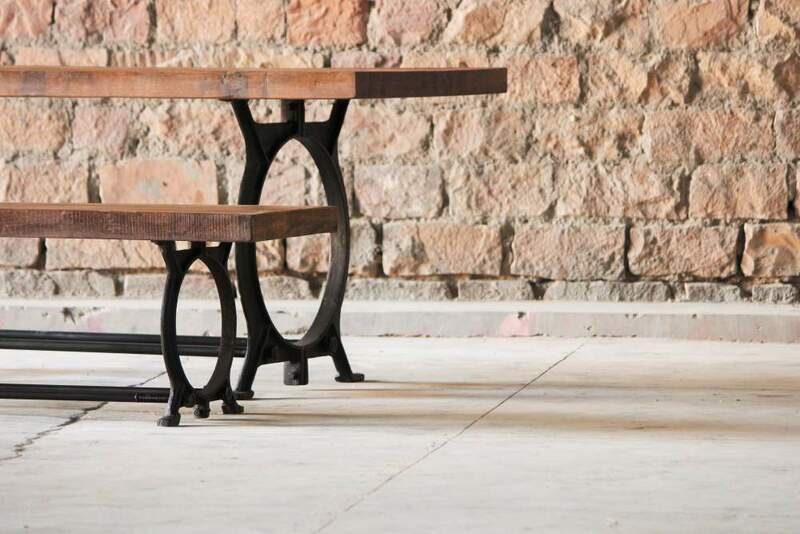 We make a matching Canning Industrial Dining Bench, but this table can also be matched with any of our Hyatt benches, stools or chairs for an urban, modern look.